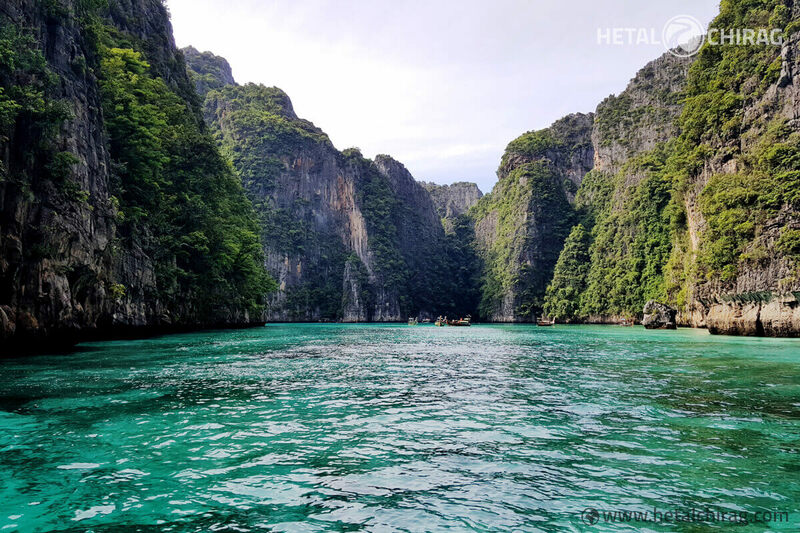 Home » Travel » The breath taking view of Pileh Lagoon at Phi Phi Island! Pileh Lagoon in Thailand is probably one of the most fascinating places on Earth. The visual combination of white sand, turquoise water, blue sky and rock cliffs is breathtaking. Early morning is the best time to visit this tropical paradise if you want to avoid overcrowded snorkelling spots. You can enjoy a nice swim in the shimmering crystal clear water inside this beautiful lagoon. 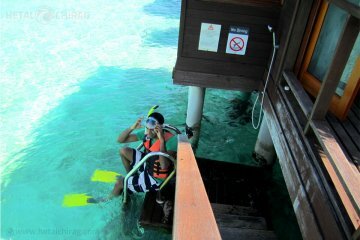 If you are like us and love to explore marine life, you should not miss out on snorkelling experience. The underwater world is simply enchanting. you can see an incredible amount of colourful fish among the corals.